How to rent a car in Tbilisi? Home » Blog » How to rent a car in Tbilisi? Tbilisi is the largest fast growing city in Georgia. Great numbers of tourists are visiting it all over the year. As in all large cities there is a problem: how to get from a one place to another the most rapidly. Rental car can solve this problem. But there are some features. Let’s have a look. 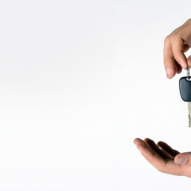 As a rule, to lease a car you will need to have a driver’s license and driver’s experience of at least 1-3 years. You can order a car before your visit and then, for example, your car can be delivered directly to the airport or wherever you want. Depending on the purpose of visit and number of passengers you can rent different kinds of cars: economy, business, luxury, trucks, and minivans. Prices for such cars differ. As a general rule, if you drive a car with your own, you have to leave a deposit worth of about $ 200. If you order a driver, it is not necessary to leave a deposit. The car’s price depends on the duration of the lease. For example, renting a car of economy category for 1-3 days can cost about $ 59 per day and $ 69 per day if you are renting car for one week. Newer cars will cost about $ 80 per day. Trucks and minivans can cost even higher. If you are renting a car you should buy an insurance policy. If you’ll damage the car you will have to pay for its repair to the lessor. We see that there is no problem to rent a car in Tbilisi; the main thing is not to forget your money at home.